Private Investigators (PIs) are trained and experienced professionals who are good at gathering and analyzing information in order to provide accurate facts. The process differs depending on what type of information is required by a client. Private Investigators are not only good at gathering and analyzing data but are also adept with criminal and legal counseling. Many private investigators have taken some sort of post-secondary education. They could earn a Bachelor of Science degree in specific or general fields like physical science, legal studies, arithmetic, and even in the field of engineering. Each field of study calls for different place in the private investigation industry and are relevant in many positive ways. A student wanting to be one of the private eyes today should take into consideration studying related subjects in school. Since there is not actually a specific degree that says “Bachelor of Science in Private Investigations” yet, they may find it relevant to add subjects related to computers and technology, forensics and other medical subjects, and even design subjects to their list. Keep in mind though that becoming qualified in this industry is not just all about the degree or educational background. Private investigation companies look for candidates with clean records – no records of fraud and other illegal activities. In other words, since these candidates would potentially enter the lawmaking and peacekeeping industry, it is important that they become models themselves to their subjects. Other than that, a private investigation company wouldn’t want to risk its resources or destroy its reputation by hiring someone with criminal records. 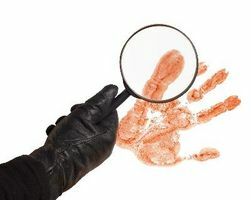 After acquiring a degree that will qualify you to work in a private investigation company, not only would you need a clean record but you will have to go through the company’s hiring process. Standard procedures of background checking will apply. Interviews may vary depending on the company’s protocol and on what position or department you want to be part of.